Since Stephen F. Austin State University, home of the Lumberjacks, is right down the street, it's only fitting to have a Lumberjack Room fitted with a queen-sized bed. This charming rustic room is decked out in purples and whites with a classy lumberjack theme complete with axe handles. Room includes a window-seat alcove, television and a private full bath with a shower and blow dryer. A queen-sized metal frame bed is the focal point of this cozy eclectic bluebonnet room. The Texas state flower is represented throughout the room from the clock to a window-framed photo taken by our daughter. Room includes a window-seat alcove, television and a private full bath with a shower and blow dryer. 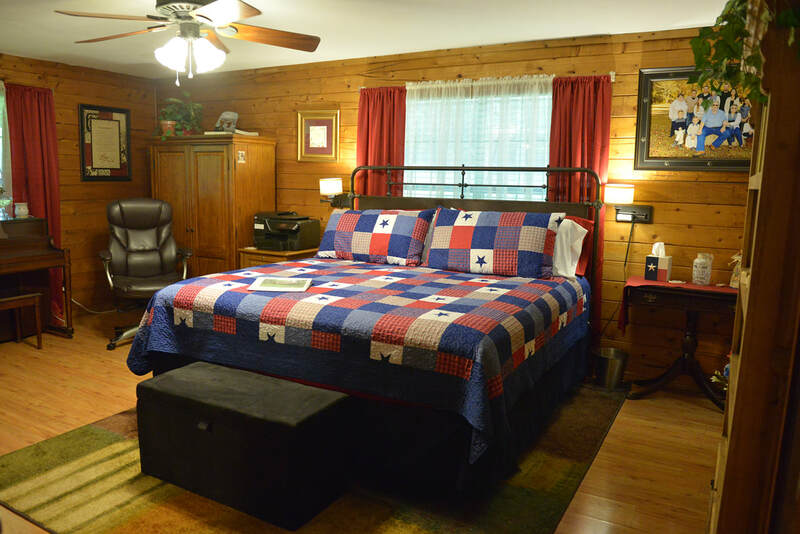 The Lone Star Room is equipped with a king size bed and is ideal for individuals not able to walk upstairs to our other two rooms. 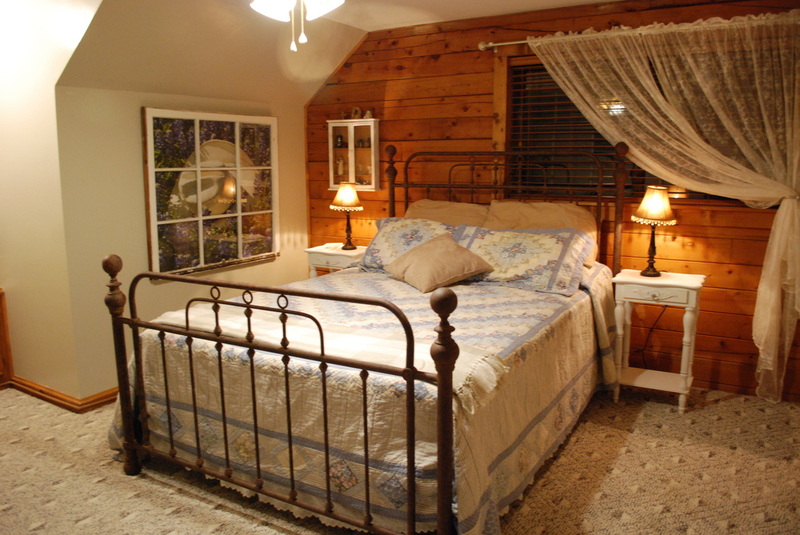 Room includes a large television and a private full bath with a remodeled walk-in shower. Also includes a private, outside entrance.